Joins Two 1 Inch Pieces of Poly Pipe to 1/2 Inch piece of Poly Pipe to form tee. NSF Approved. Safe for Potable Water. Good Chemical Resistance. Widely used in the Pool and Spa Market. Temperature Rating 73 F - Cold Water Applications. Sb Tee 1/2 Inch Rt Lf The 1/2 in. Shark Bite Push-to-Connect Tee is the easiest way to join copper, CPVC or PEX pipe in any combination with no soldering, clamps, unions or glue. Just insert the pipe and the stainless steel teeth bite down and grip tight, while a specially formulated O-ring compresses to create a perfect seal. Disassembly is just as fast using the simple disconnect tool so fittings and valves can be easily changed and reused. They can even be rotated after assembly for easier installation in tight spaces. 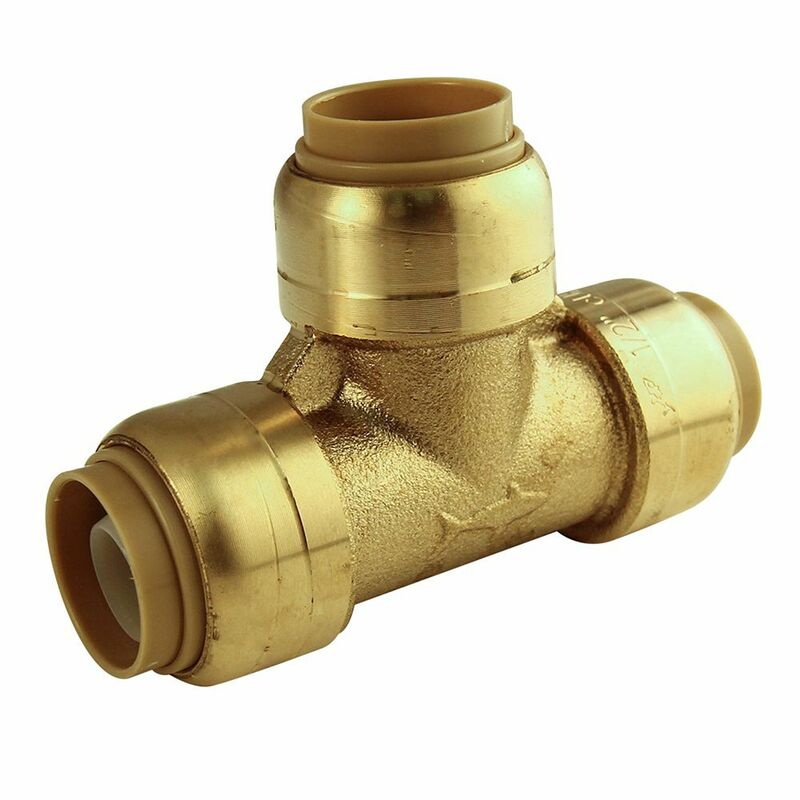 Shark Bite Fittings are certified for potable water supply and hydronic heating applications. Get Shark Bite and get a grip on your next plumbing project. Sb Tee 1/2 Inch Rt Lf is rated 4.8 out of 5 by 170. Rated 5 out of 5 by Scott from These connectors make do it yourself work sooo easy!!!!... These connectors make do it yourself work sooo easy!!!! How much do you have to cut the pipe you will be servicing for this to fit properly and how far does the pipe slip into the tee?